Thank you! I am pretty pleased with how it turned out in the end. wow! what a labour of love!!! looks gorgeous!!! Thank you! Next weeks post should be all about the next dress. It’s coming along nicely so far (though it is a bit less complicated than this one!). Will you be wearing this outfit for the promenade? 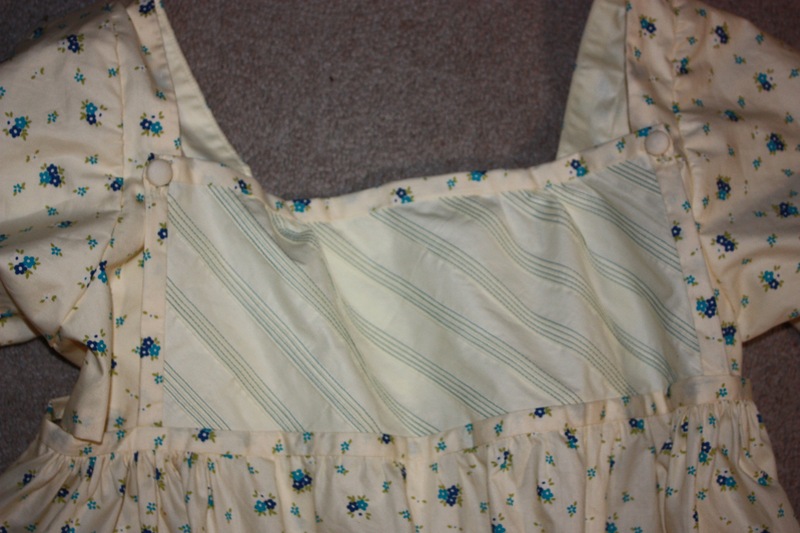 Not sure if I will wear this day dress or my other embroidered one… Will wait and see! 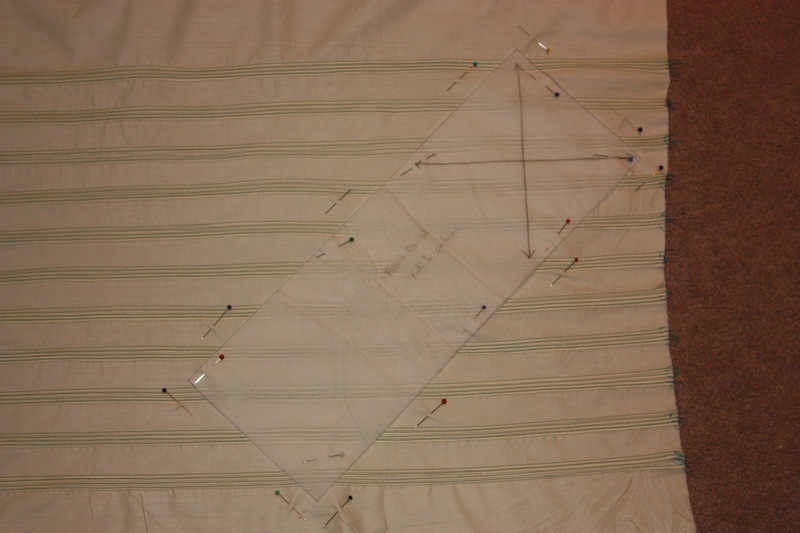 I’m just drafting my bib dress now. 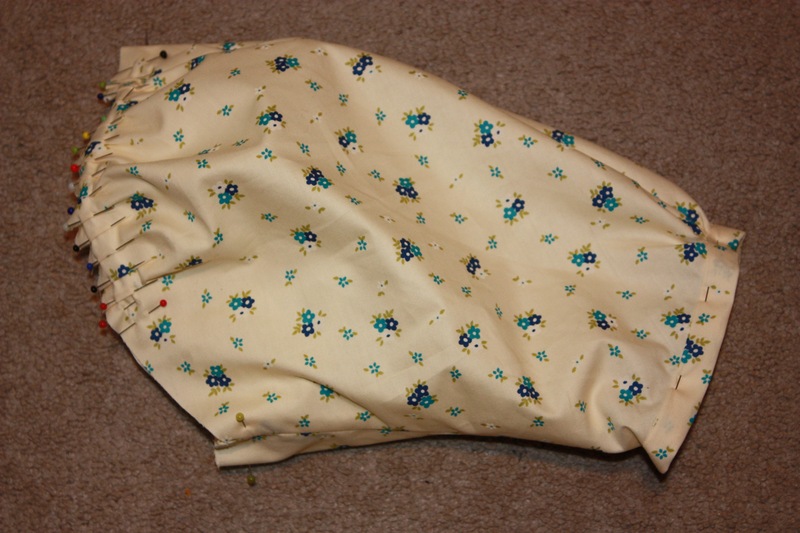 I wondered those tucks are so neat did you do them by hand or machine? How do you find the dress? 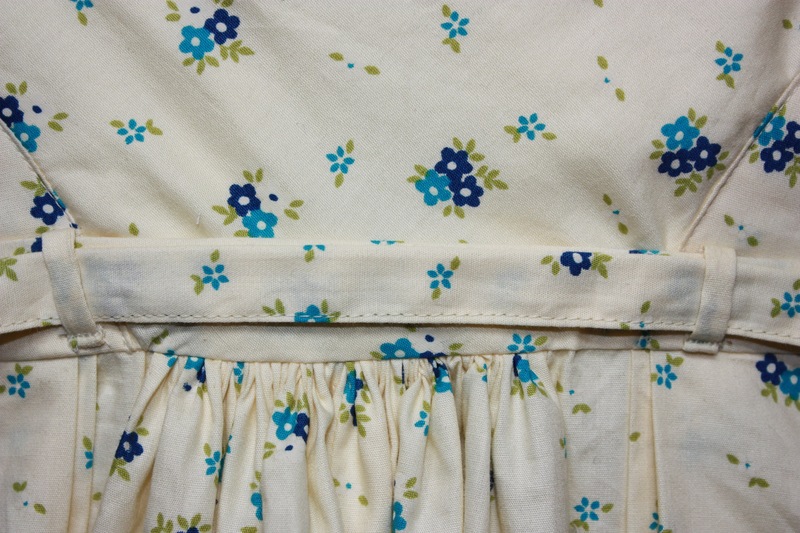 Do you get the ‘placket’ opening or does the skirt close firmly? I did the tucks by machine. I did them on a piece of material about a metre long and 50cm wide and then I picked the best “patch” of tucking and cut it out to use for the dress. I really like the dress. 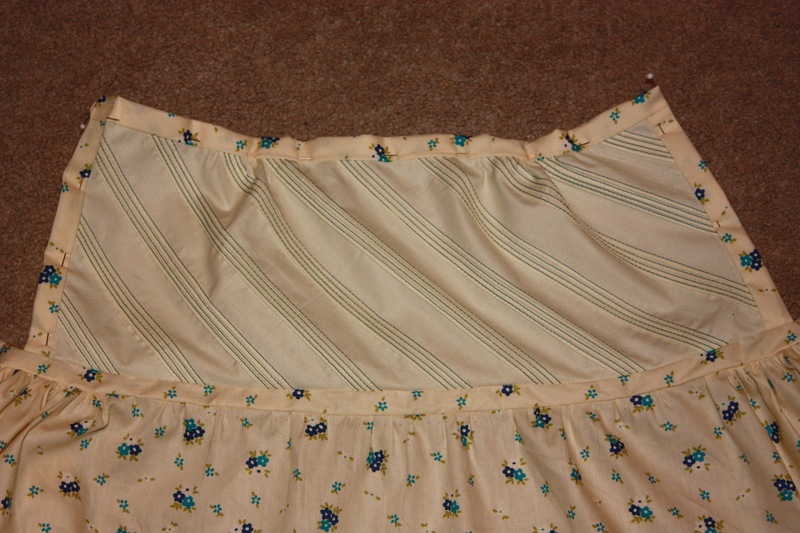 I would make the front skirt area flat (with no gathers/easing) next time, as it makes me look pregnant! I would also make it a bit bigger cos it is very tight on me. It is easy to put on by yourself too, which I like. I am not sure what you mean by a ‘placket’ opening. Do you mean does it gape the way a placket would? I find it closes nicely, but you would want to make sure you have a sizeable overlap in the panels (rather than just a few centimetres). 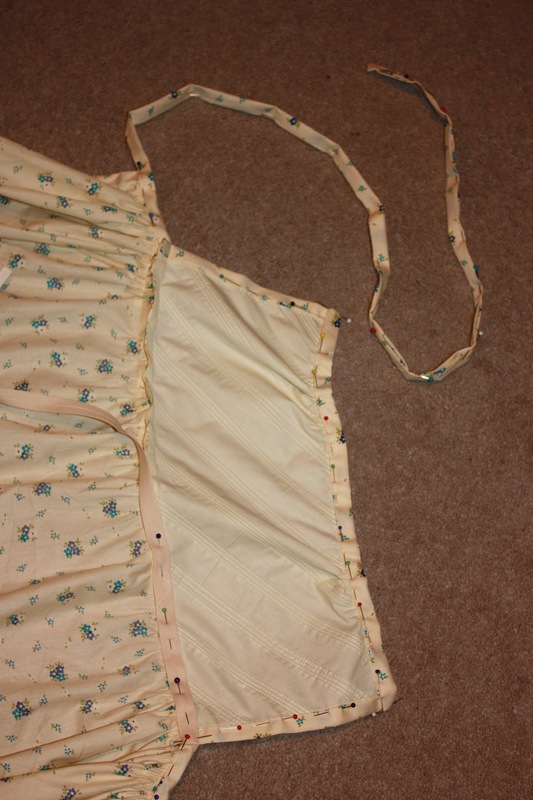 I do wear a petticoat under it though, so I have never noticed if it gapes or not. 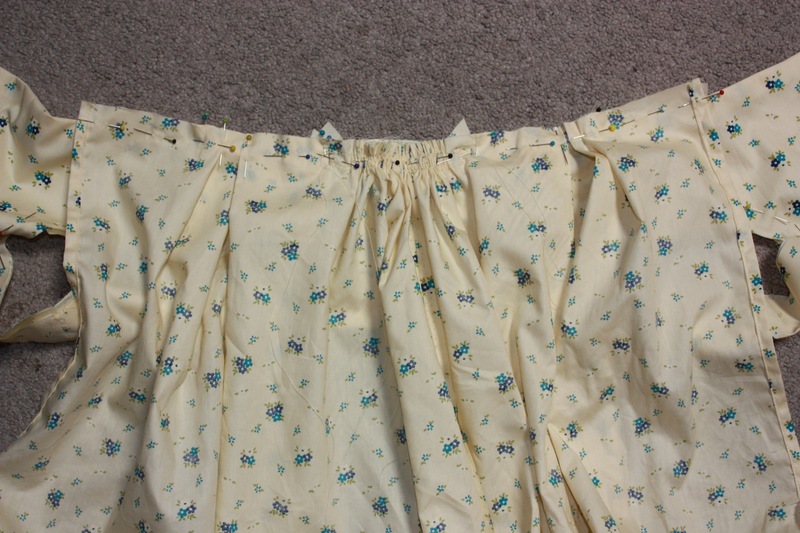 I have a waist (strapped) petticoat to wear with it but not a bodiced one (As I’m wearing a chemisette with it and didn’t want any more bulk). I’m wondering about cutting my sleeves on the bias like yours. 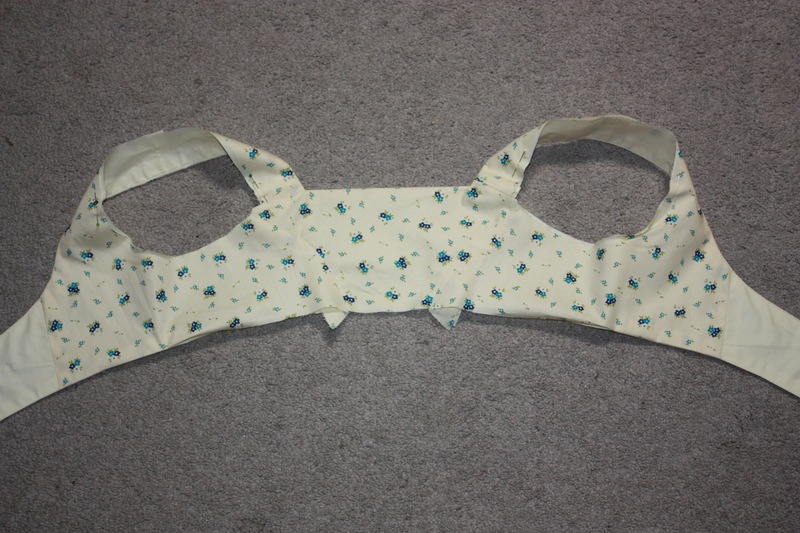 Cutting sleeves on the bias seems to make them a bit more “clingy”. You could always try it on a mock-up and see if you like it. wonderful tutorial I plan to use this year. Thank god this book was at my local library. Do I have to cut everything on the bias? I don’t understand bias well enough. Is for a ‘give” or stretch in the garment? 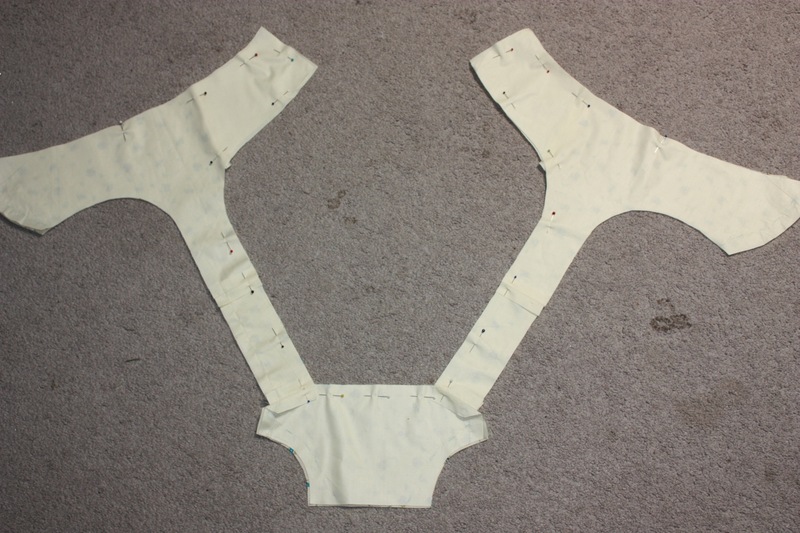 The sleeves are not very gathered, so the bias gives the sleeves more give. But you can cut them on the straight grain if you prefer. 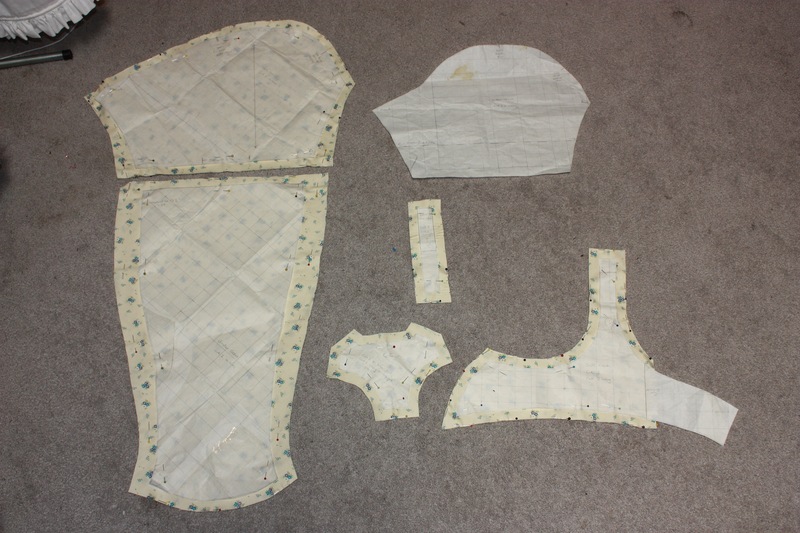 The only other thing in this pattern that is on the bias is the back bodice piece. 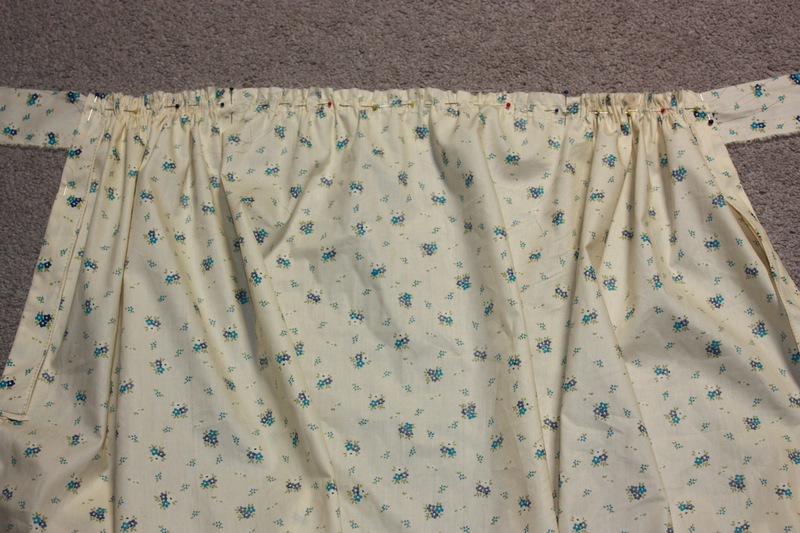 On the original it was tiny (only about 6 inches across) which might be why it needed to be on the bias. But you can cut that on the straight grain as well if you like. 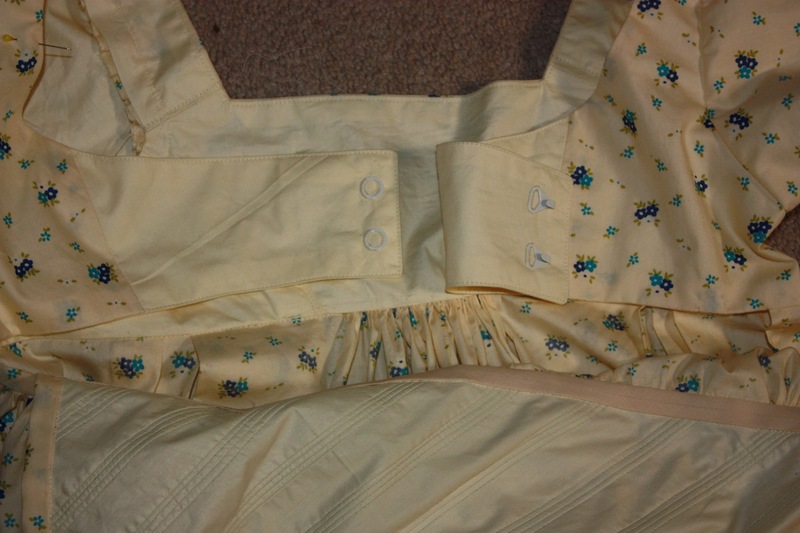 There were examples of gowns of this type using the straight grain as well as the bias, it is just that this particular one made use of the bias for some of its pieces. 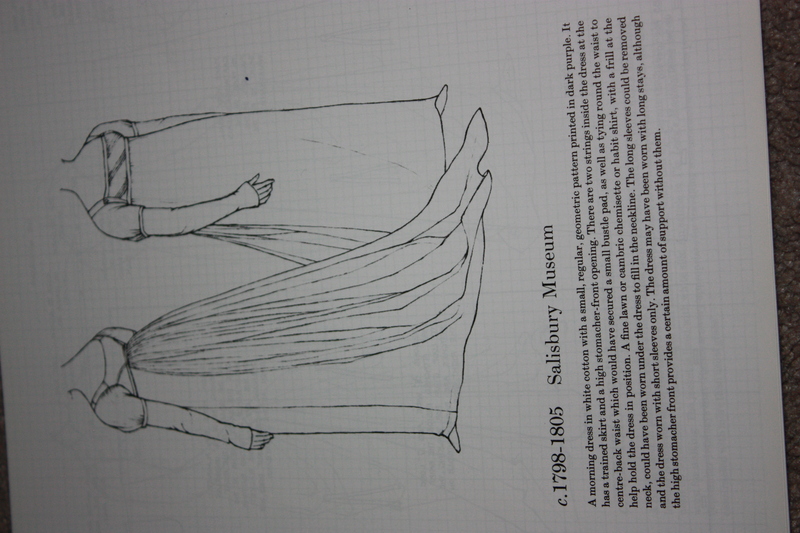 If you are using this particular pattern of Janet Arnold’s, make a mock-up first as it is a rather small gown.